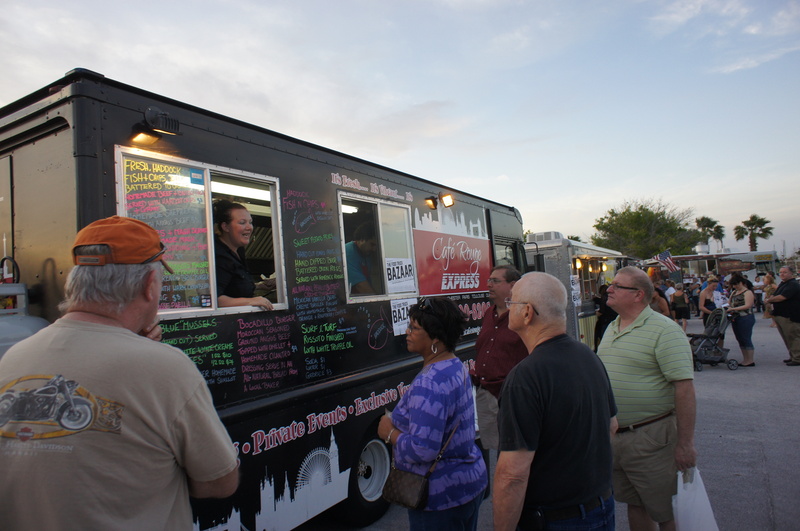 If you’ve ever walked along Lake Monroe and watched as a Sailboat danced in the wind or attended one of the beautiful nights where the lake was filled with boats lined with Christmas lights (Sanford’s Illuminated Boat Parade, a past event put on by Captain DJ), then chances are you’ve seen Captain DJ sailing the Sanford waters. I counted down the days until I was able to step aboard with the captain and watched in awe from the moment I yelled “stepping on” as I stepped onto one of the 8 sailboats the DJ owns. 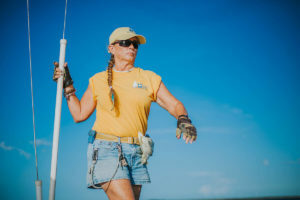 I watched her as she pulled and tucked and walked along the tiny sides of the boat as if we were on land – meanwhile I held on tight with each step I took hoping I wouldn’t look like a fool tripping over my own two feet. As we sailed and listened to nothing, but the wind and watched as the sun faded, I felt as though I was drifting off to a tropical paradise…while in reality I was sitting on Lake Monroe. 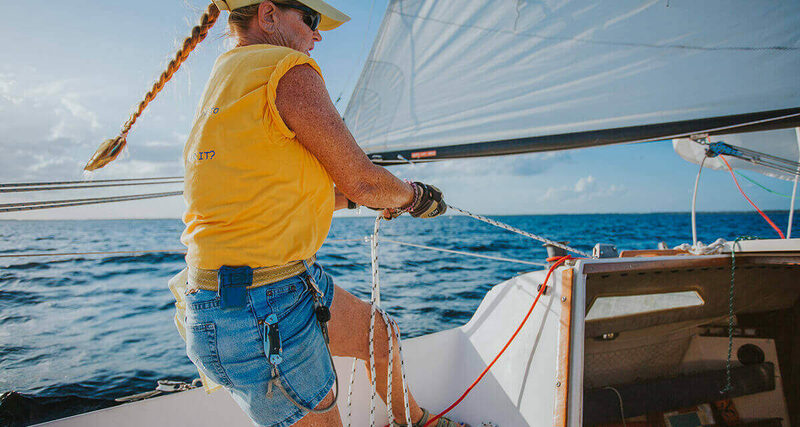 Needless to say whether you are looking to just sit and relax for an evening or you are wanting to become skilled in sailing, Captain DJ is great for adventure stories and sailing instructions, she’s a wealth of knowledge and it’s apparent she loves her job. Her love for her job in fact has gotten her to her 10 year mark!!! 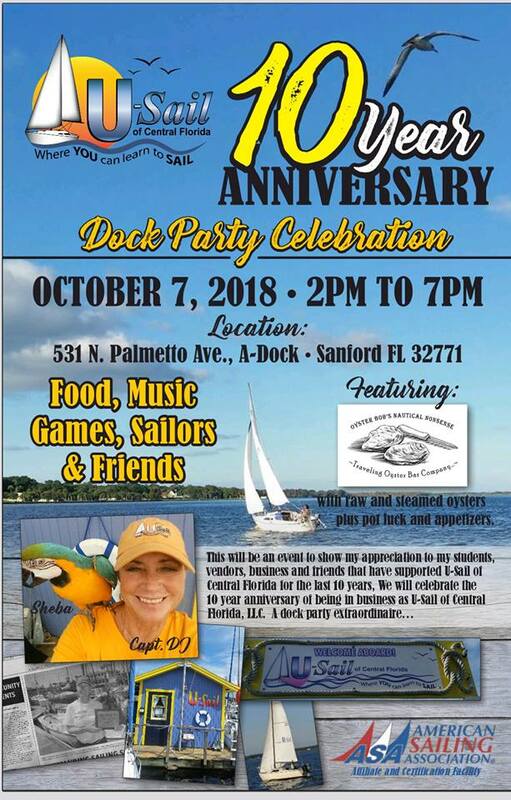 She’ll be celebrating U-Sail’s 10 year Anniversary this weekend, join her in celebrating at her deck party with food, music and games (flyer below) and then plan your next date night or new goal for learning something new with Captain DJ at U-Sail! 1. 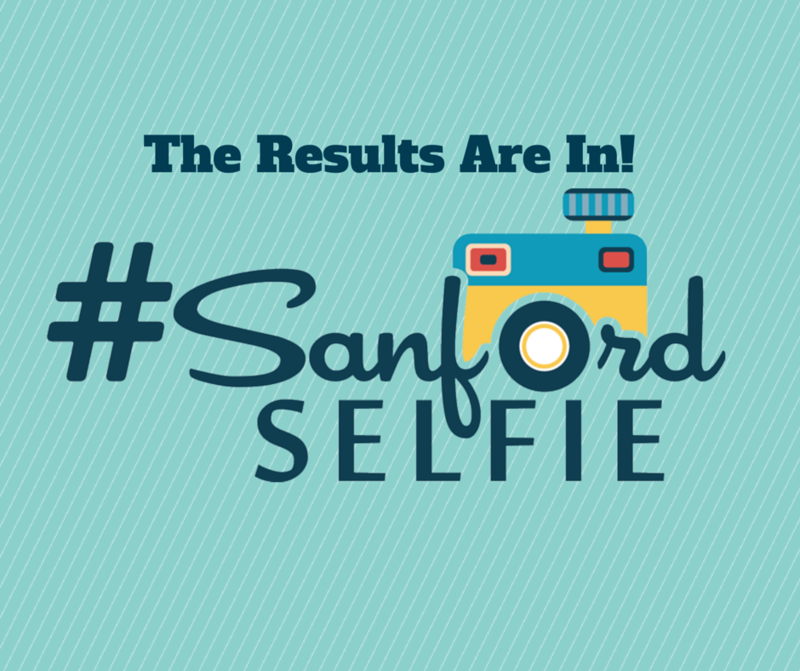 What is your story, how did you get to Sanford? Before graduating high school, my desire to see the world surfaced so I joined the Air Force as a way travel and ended up in South Dakota, so I saw a lot of snow. My military career was short lived due to a back injury that happened while changing truck tires on semi-trucks. After getting a medical discharge, then back surgery, it became apparent that I needed to go to college and find a way to make a living using my brain. As a disabled veteran I used my GI bill and the Voc-rehab program for veterans and graduated North Texas State University in 1985. During my senior year I met someone that took a job offer in Sanford, Florida and shortly thereafter invited me to visit. 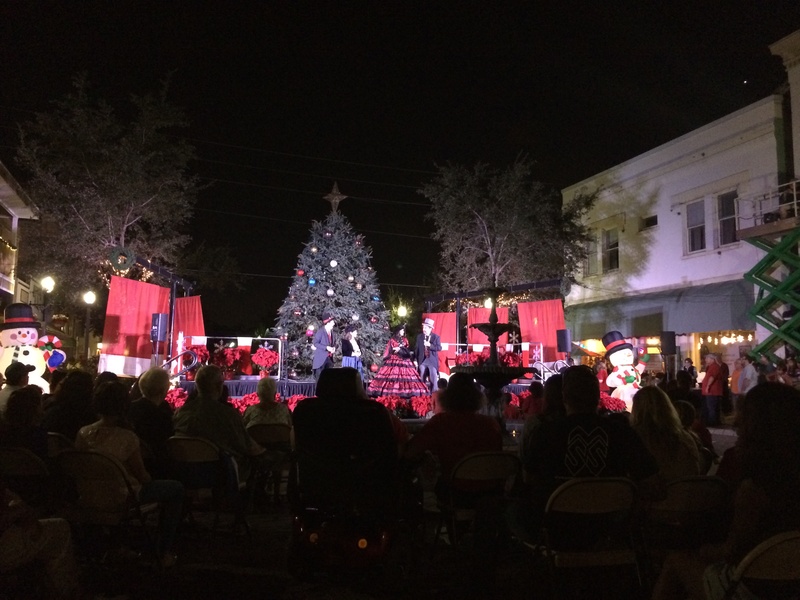 Having never been to Florida, I thought I would see what Florida was like, so after a short visit, I moved here after graduating college and fell in love with Sanford and decided to stay. (this is from the www.usail.com) in the about us section. DJ is committed to sailing as a way of life. 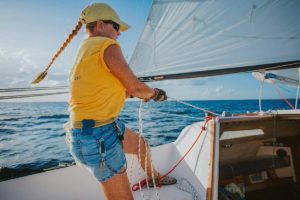 However sailing fits in your life, Captain DJ is dedicated to providing you an opportunity to experience the joy, peace and thrill of sailing, and a connection with the wonderment of nature. 3. Did you grow up near the water/hanging out on a boat? I grew up on a farm in northeast Texas, totally land locked. Had run off a 100 acre farm and as a tomboy I lived a life full of as many adventures as my imagination could create. Making little boats to float down the creek in the backyard was a favorite. Spent many hours fishing with my Daddy and brother in local lakes. My love of animals on the farm had me making pets out of most any creature that came along, including snakes, raccoons, mice, cats, dogs, horses, pigs, opossum, frogs, etc. Being invited to go sailing during my college years was an event that totally changed the direction of my life. From my first encounter with a sailboat I was totally fascinated. 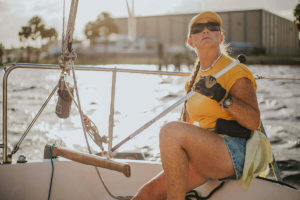 Unaware that sailing lessons were an option, I took on sailing like I do most things in life – I figured it out the hard way. It is true, I spent the first few years as a “boat babe”, hung out for the party and friends that I made along the way. As life would have it, I had fallen in with the sailboat “racing crowd”, that caused my learning to sail take on a whole new meaning. I loved the adrenaline created while only going 5mph. Along with the feeling of freedom and peace I get while sailing, I have never found anything else that lights me up like sailing. 5. 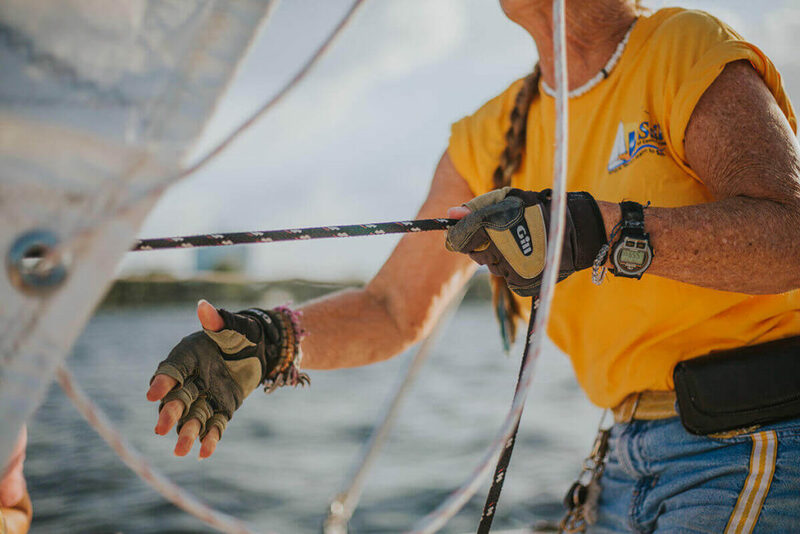 What is one of your favorite sailing stories? Most often told story is when I was hit by lightning while racing over by Titusville. The storm caused the lightening to blow a hole in the boat and catch the boat on fire. My fondest memories are of sailing thru the Everglades with no other person in sight. 6. How did you come to be a sailing instructor? The VA had told me after back surgery that I would be in a wheelchair by the time I was forty. So, in my early forties, I was bored with working on computers and most computers where plug-in and pray. It occurred to me that while living on “borrowed time” I should do something I like for a living and what I love to do was sail. Hence, I created a vision board and timeline giving myself two years to make the transition and started to live that dream of sailing for a living. As the universe took over on the Monday I passed the test to get my Captain’s license, the Friday of that same week my boss called letting me know I had been laid off because my job had been outsourced to India. 7. What is one of your favorite things that you love about sailing? One of my favorite things about sailing is that it shuts up voices. When I’m on the water it’s just about the wind, water and the boat. No two days are the same, it’s always an adventure. It also is a big plus that it’s all about the wind being the source of energy which is truly environmentally friendly. 8. Do you have a students or students that stand out? There are a couple that really stand out. One is a Chinese family that wanted to immigrate to New Zealand and had never stepped foot on a sailboat until they came to U-Sail. Simba and his wife Venessa and their two girls (10 and 12) took lessons (all that I offer), bought a 44 foot sailboat and then sailed from Daytona Beach to New Zealand. It was a five month journey that I proudly followed along on their blog. Another is a couple that took lessons, joined in some local sailboat races with my encouragement, bought a small boat and raced all over the country. Then sold their business, home and cars so they could buy a sailboat and live their dreams of living aboard and seeing the world. This past week I received an email that let me know they had gone thru the Panama Canal and were now in the Pacific ocean after spending 6 years in the Bahamas and Caribbean. 9. Where is your favorite place to sail? The nice thing about sailing, its about the journey – not the destination. 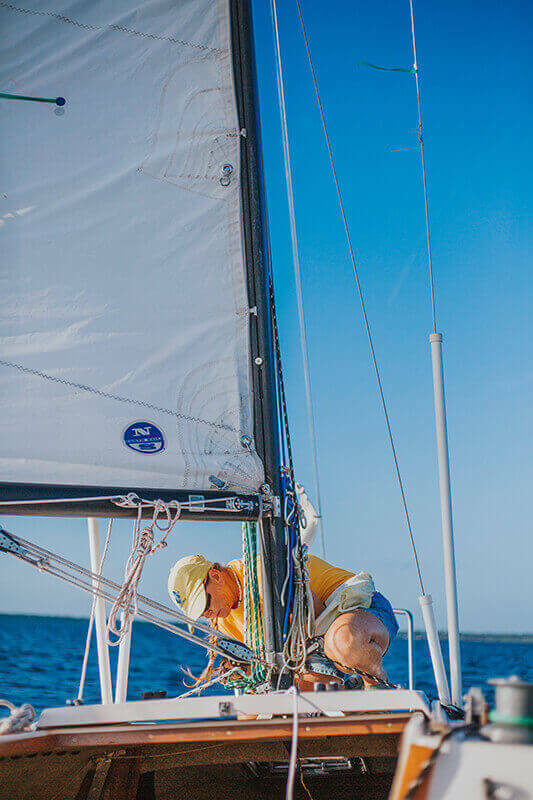 I have sailed all around Florida, the Chesapeake, up and down the Eastern Seaboard and in the Bahamas and Caribbean. So here I am, after moving here in 1985, I’m still sailing on Lake Monroe. People from all over the world make Florida their destination, it’s an amazing state to have a sailboat. So many cool places to sail. I’m not sure I’ve found my favorite just yet. 10. Do you live on a sailboat? I have lived aboard for months at a time with immediate plans in the works to make it more permanent once I sell my house in Geneva and find “THE” next boat. Currently I own 8 sailboats and one more would be nice. 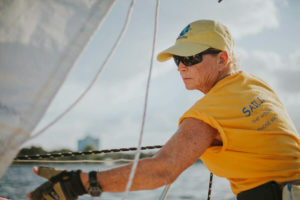 U-SAIL of Central Florida is a great place to learn the sailing basics. We are located on the protected waters of Lake Monroe, part of the beautiful St. Johns River and just minutes from Orlando. Our fleet consists of keelboat in sizes from 18′ to 30′, fully rigged and coast guard compliant. 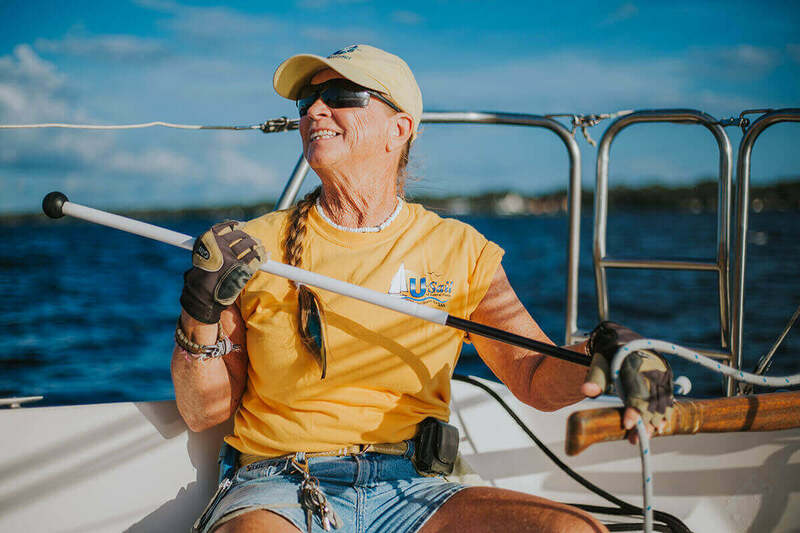 Captain/Instructors have 30+ years of sailing experience both racing and cruising. U-Sail was selected as one of the Outstanding Sailing Schools for 2012 by the American Sailing Association (ASA), based on student evaluations. 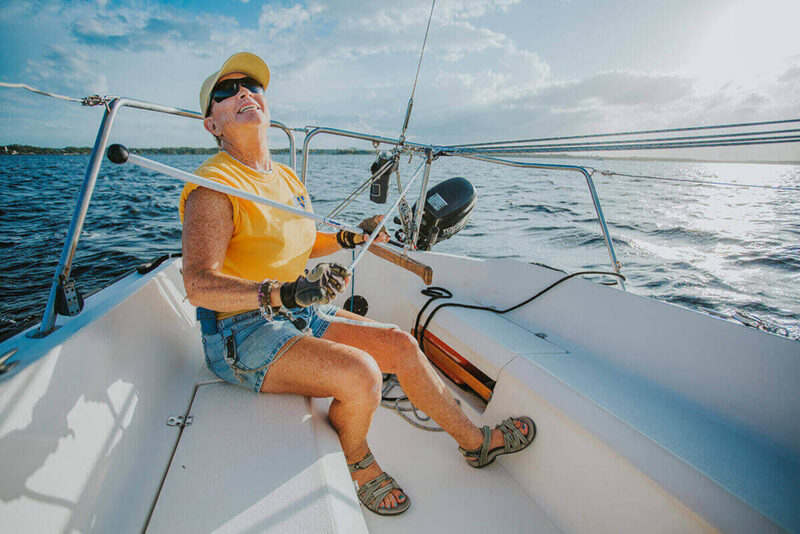 Once you’ve completed your certifications, join the sailboat club, an easy and accessible way to practice your new skills. 12. Anything else about you, your company or anything in general that you’d like people to know? I take pride in having a business that is about sharing my passion for sailing, not a get rich quick scam. As one of my students so succinctly put it in a review posted on Trip Advisor: “ U-Sail is the real deal, not a diploma mill”.